An American actor who is famous for portraying a role of Jerry Brudos on the hit Netflix series, Mind Hunter, is Happy Anderson. Likewise, he is one of the characters of the crime drama series, Gotham and legal drama series, Law & Order. Talented, Happy is married to his beautiful girlfriend, Meg Griffiths. She is a fine arts photographer. Anderson was born on November 19, 1976, in High Falls, New York. There he completed his elementary education from the Rondout Valley High School in 1995 and then graduated from Ithaca College in 1999. Afterward, Anderson did masters of fine arts from Indiana University in 2002 and moved to New York to pursue his career. Talented American actor, Happy Anderson. 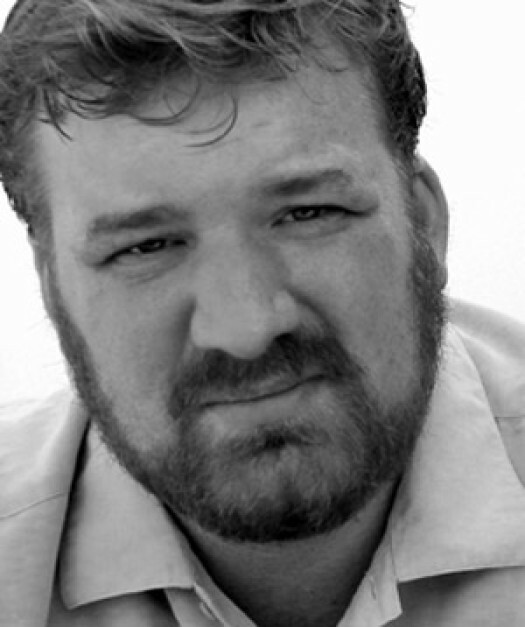 At the beginning of Anderson's career, he worked for the Creede Repertory Theatre in 1999. He then appeared in the Kentucky Shakespeare Festival, Pennsylvania Shakespeare Festival, and Texas Shakespeare Festival subsequently. At that time, he developed his passion and decided to appear on the screen. Happy made a film debut in the year of 2007 in a comedy film Brutal Massacre as Ivan. Similarly, a year later, he then made an appearance in the legal drama series, Law & Order as Jim Matthews. Besides acting, Happy has also appeared in the video games Max Payne 3 and Grand Theft Auto. More recently, he has made an appearance in the films The Comedian, Bright. In the same way, he is working for the upcoming movie, The New Mutants. The multi-talented American actor, Happy married to a woman named, Meg Griffiths. The boyfriend and girlfriend tied the knot in the year of 2011. Meg is a fine arts photographer. 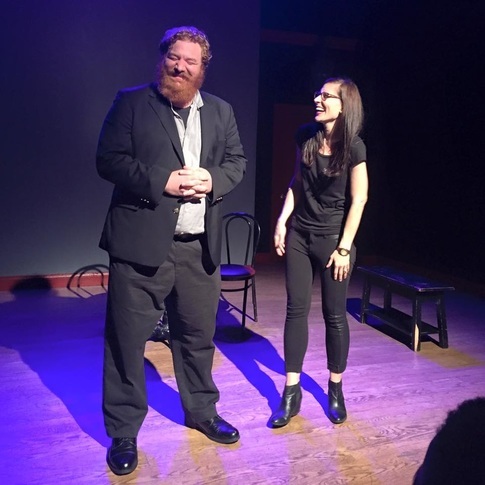 Husband and wife, Happy Anderson and Meg Griffiths in a comedy show. The husband and wife are together for almost six years and till now, they have maintained their relationship very strong. The couple loves each other very much as they give equal time to their career and love life. Till the present context, Anderson has played in the multiple television series and movies. From there, he has accumulated thousands of dollars. As of 2017, his net worth is under review but as per his popularity, he must be earning money in millions of dollars.